Some Christians show zeal for social justice. Others call this “liberal.” Is either belief more biblical? I want to consider the stories Christians teach one another about social justice. Yet it turns out, my first attempt at this comes from nine years ago. It’s surprising, first, how much I actually agree with 2010 Stephen, and second, how little things have changed. Hosts of professing Christians get comfortable with their easy lives. They’re satisfied with their blessings. They appreciate any benefits obtained from a stable country, and lifestyle, based on some Biblical truth. The next generation of professing Christians comes along. Of course, they’re likely the children of the above generation. But they get sick of apparent easy-living Christianity, and its lack of emphasis on caring for the poor and destitute. They cry, Christ came to bring Social Justice! and they talk a lot about this. In reaction to them, more Christians get sick of that. They dismiss Social Justice as just a bunch of liberal talk. All sides get together on the internet. Sometimes they even connect in person. They commence to yell at each other. People from either sides switch to either more “liberal” or “conservative” views. Each “side” has children, or other protégés, to teach their views. On which of the two “sides”—or an overlapping viewpoint—do you fall?
. . . But there actually is a lot in the Bible about the poor, even more if you expand the category to include wealth, money, possessions, and justice. Just as some Christians are in danger of over-reacting against social justice, other Christians, in an effort be prophetic, run the risk of making the Bible say more about the poor and social justice than it actually does. Moreover, when the Bible references the “poor,” it’s sometimes talking about those righteous people, God’s people, who are humble and waiting on him, and may or may not be economically poor. Scripture encourages Church members to take care of their own poor first, DeYoung notes. 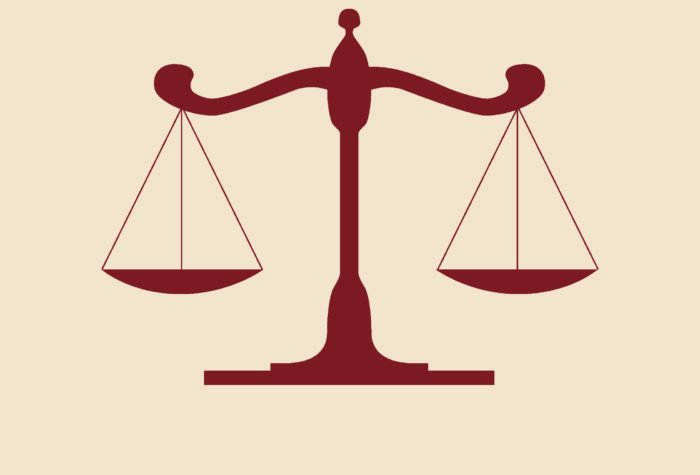 After that comes seeking justice in the world—though knowing that only Jesus brings justice. DeYoung also went through seven common Scripture passages that are often used to support notions of “social justice” in secular society. He shows how such texts can’t be taken out of the context of God’s redemptive history and used for mere social improvement. He also addresses many truths about what Scripture actually does say. I wish DeYoung would adapt this series into a book. We actually need this now more than we did in 2010. 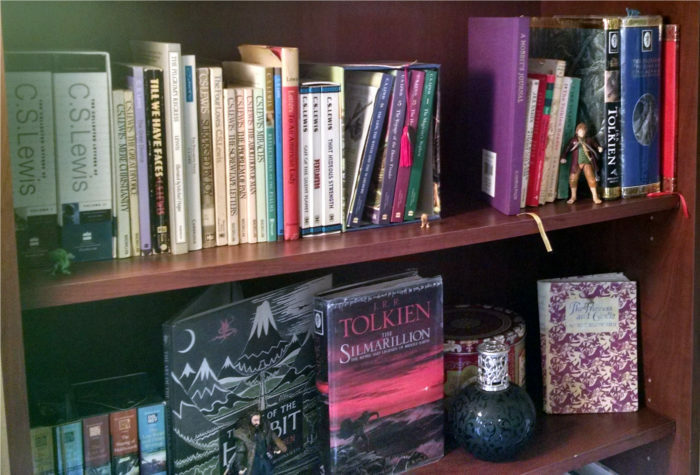 Yes, books exist for our joy, so let’s reject shallower “duty and Art”–style reasons for reading them. During the last week or so, fans of joy in books have risen up in great annoyance. This happened in response to something Marie Kondo said. She is latest in a long line of organization gurus, most recently appearing on (where else?) Netflix. Kondo suggests limits on book-collecting, supposedly based on whether a book in your hand “sparks joy” inside you. I’ve read a lot more comments objecting to this “sparks joy” comment than defending it. However, I haven’t been able to find a primary source for this comment. That means there’s a chance Kondo has been misconstrued. Still—it’s been interesting to see the justifications people make for keeping their books. I’m not sure if biblical Christians can necessarily agree with some stories people tell themselves about why books matter. Time doesn’t permit a full explanation here, but I have a few comments. First, Schofield’s definition of “joy” is starkly limited to feelings of “pleasure and happiness.” She seems to go along with Kondo’s (reported) emphasis on holding a book, clothing item, or such, and waiting for a feeling of immediate joy. This simply isn’t how joy works. Imagine trying this method with snack food, or an item of exercise equipment. Or your budget software. Or (speaking to Christians, here) the Bible. Second, joy is not limited to our three dimensions plus a fourth dimension of personal emotion only. If I don’t feel like working out, if I don’t get that “spark” of joy, what if I go ahead and work out anyway? Then I just might experience a feeling of joy some time later. Maybe days or weeks later, but I will. The same is true of reading the Bible. Or reading any other book. The fourth dimension of joy is not immediate emotional response, but time. Third, Schofield seems to miss other positive emotions that result from joy. Legitimate joy, even “pleasure,” results in many emotional responses, some immediate, some delayed. But pleasure/joy does not bring us only gleeful smiles or warm fuzzies. We also experience joy in being challenged or even perturbed. Elsewhere, real joy can manifest in hard work, sweat, sometimes even pain. Again, that fourth dimension of time applies here. In this case, if you read a challenging book, you may not feel immediate joy, or even joy the day after. But much time later, perhaps even years, you may experience the joy of having read that book and benefited from it. Yes, I’ll be that guy who points out that this is, technically, nonsense, even a reification fallacy. “Art” doesn’t care about anything. It does not have “its own terms,” much less a timeline. Art has no mind and no will. It exists only because humans, who do have minds and wills, make the art. Of course, Schofield is speaking poetically here. But poems don’t fit with the logical argument she’s trying to make about the value of Art and All That. Instead of crediting Art and All That, as if Art has some will and purpose, give credit where it’s due: to the humans who make art. Art has value because humans have value. And, as the biblical Christians hastily adds, humans have value because they reflect the image of God, the imago Dei. God, as the supremely most valuable “thing” ever, has granted humans this value and the gift of imitating his creativity. That’s why books have value. God has created humans, granting us his image to bear, and giving us the ability to make culture. This includes books. And books can include good books or bad books. Some books give us immediate emotion feedback of joy. Other books are all dry and dusty and challenging, leading to the potential joy of having finished and benefited from the tome. Either way, the book’s purpose is still joy. God created his people for joy.4 In this time of sin and a cursed, groaning universe,5 joy seems more limited. But in eternity, on the New Heavens and New Earth, we’ll rejoice forever and ever for the glory of God. So, if I’m tidying up the closet of justifications for books, or Art and All That, I’m not keeping any “books for duty’s sake” or “art for art’s sake” arguments. In the eternal timescape, they’re hopelessly outdated. So let’s throw them out. Books exist for joy—not joy from them, but joy through them, brought to us by the Creator who gave humans his spark of creativity to make them. Even if the author doesn’t know him. And if we, as book readers, haven’t experienced reconciliation with this Author of the universe, we’ll be left chasing lesser arguments or feelings in an ultimately vain effort to enjoy these gifts to us. Do we take seriously our own fictional heroes’ warnings not to embrace the power of the dark side? Temptations to the dark side lie everywhere, not just on Twitter and other social media. To be a hero, don’t turn yourself into your own enemy. Don’t become the evil you despise. I thought of writing something about this. Then I realized I’d already written this very article in 2017 for Christ and Pop Culture. Harry Potter casts a word-wounding spell, sectrumsempra, against his enemy Draco, then repents and later refuses to use dark magic against Lord Voldemort. More recently in this summer’s Wonder Woman, demigod warrior Diana is tempted to return evil for the evil of man’s world, but chooses to embrace heroism as defined by self-sacrifice for a world that doesn’t deserve her goodness. Last year’s Batman v Superman divided some fans, but meant to explore Batman’s journey into from vengeful vigilantism—and then back to his heroic redemption, inspired by Superman’s plea for the dark knight to save his mother. And in Captain America: Civil War, also in 2016, T’Challa (the Black Panther) watches hero turn against hero, blinded by vengeance and provoked by the plotting of villain Zemo, until finally T’Challa himself refuses to keep following the same anti-heroic path to the dark side. . . .
We are consuming these hero stories like never before, spending multi-millions on these films and franchises. But are we taking seriously these heroes’ warnings not to embrace the power of the dark side? Deep down, some of us risk accepting a “better” hero story. We may secretly believe the dark side makes us stronger. We may secretly believe the only way to defeat very, very bad people is to adopt the same darkness they have adopted. Only then can we save the world. These headlines will age within weeks. But by then, we’ll have new accounts to remind us that most people won’t listen to our own heroes’ warnings against embracing the dark side. In each case, the self-styled “hero” identifies a real and dangerous villain. Social progressivist leaders are right to condemn the fear of Muslims. Conservative Christians are also right to condemn militant Islamic terrorism. But in these cases, the “hero” decides his villain is so powerful, and so dangerous, that he must stop them by any possible means. And if he must embrace murder to stop murderers, or deception to stop deceivers, so be it. Batman doesn’t have Batman stories to warn him against the dark side. But we do. And rather than seriously listen to their warnings, we risk becoming flippant. We assume that, unlike the heroes of our stories, we can control the dark side. What are we to do about evil then? Is it really as simple as “don’t embrace the power of the dark side”? Avoid any semblance of deceit, vengeance, or hatred against enemies? Really and truly be holy, as God is holy (1 Peter 1:16), and “do not be overcome by evil, but overcome evil with good” (Rom. 12:21)? Yes. That’s it exactly. There is no nuance, no disclaimer, no creative twist beyond that. Only a new repetition of an old and godly truth. Read the rest at Don’t Embrace the Power of the Dark Side. What To Do with Christian Leaders Who Condemn People via Tweet? Long-distance condemnation of people via Twitter posts makes a mockery of real, godly ministry. At World Magazine, Megan Basham gently but firmly calls out Christian leaders for their eager participation in a social media mob. She doesn’t name them or shame them. That’s more gracious than some of these leaders, who were willing to consign their targets to guilt before God and man: the slandered Catholic high-school students at the March for Life. Prominent pastors, theologians, and Bible teachers quickly expressed outrage. “Let’s be clear, this isn’t simple hate, it’s demonic activity,” tweeted one pastor. Another publicly wondered if college admissions offices would post their pictures with the message “Do not admit.” A theologian commented, “This is white supremacist terrorism.” Others posted videos that showed a still image of the student’s smiling face next to pictures of smiling Nazi youth and young civil rights era segregationists. This all started with an edited video.3 But it was blown up by two other sources. Second, the people threw rocks. Including the above-quoted Christian leaders. What’s the common denominator in all of those quotes? In this case, these Christian leaders have been expelling their judgments into the location that increasingly resembles Hell’s spittoon—Twitter. At best, this is so perplexing. Who has bewitched them? In short, this not an example of godly Christian leadership. Ever. Not at a distance, not in 280 characters or fewer, not without having been there with that person, in person, and having had some clue about what was happening. “Demonic activity”? “The vomit of Hell”? Excuse me, yesteryear’s cultural fundamentalists just called. They want back their scholarly criticisms of Beatles records. And not with this kind of gospel grace-less rhetoric. “Demonic activity”? “The vomit of Hell”? Excuse me, yesteryear’s cultural fundamentalists just called. They want back their scholarly criticisms of Beatles records. I’m afraid I’ve already been hearing examples like this. It’s particularly bad when Christian leaders, including big-name pastors, get into wars about “social justice” issues over Twitter. Assuming the best about these spats, few participants act as graciously they would if they were together on a panel at some conference someplace. Or in the same pew at a local church under (mostly) godly leadership. On Twitter, their accusations fly. It’s worse than the apocryphal(?) accounts of Southern church grandmas who shun one another over different preferences for the building’s new carpet. In fact, this kind of long-distance condemnation of people via Twitter posts makes a mockery of real, godly ministry. It shows lack of discernment about the ways rumors spread in secular and social media. In this case, you don’t even need to agree with the accusations of “left-wing media bias.” You need only understand that people are gonna people. If provoked, they will form a moralistic pile-on before they even know what guilty or innocent body is pinned at the bottom. Why do Christian leaders keep doing this on Twitter? Why does this keep happening? And without hint of awareness of the Apostle Paul’s command (1 Timothy 3) that teaching elders must not be quarrelsome? My only working theory (again, trying to presume the best) is that some of these Christian leaders might end up leading sheltered lives. I don’t mean they haven’t seen hard times. In fact, some of them may have seen a lot of hard times. But perhaps they’ve undergone their worst pushback, in their lives and ministries, from very limited sets of evangelical groups. I can easily imagine being, say, a popular Christian leader—even a gospel-teaching leader—with a conservative audience. Imagine the kinds of opposition I would face every day. But a lot of it would likely come from subsets of my own audience, always complaining about something or other. Sometimes the complaints are legit. Other times, not so much. Either way, I can imagine, over time, I would become achingly familiar with this opposition from “my” group. And, by contrast, I might start to think far more positively, even naively, about people who are not in that group. I might fail to discern their nastiness as well as I can discern my own people’s nastiness. Such as progressivist activists. Or media reporters—or advocates from competing religions. Mix this with the ever-present temptation to be the “good cop” Christian, among the faith’s critics, and that’s a disastrous brew. And mix this with another potent ingredient—”I’ve found moral truths that church has (maybe) Forgotten About!”—and the consequences could be worse. I can try to empathize with Christian leaders, pastors, and their followers. They’re people too. They’re not perfect. On social media, as in real life, they’re going to sin. They’re going to repeat slander. Sometimes they may even cause slander. There, but by the grace of God, go I. And again, I can’t imagine the pressures and temptations these leaders face every day. But I think that perhaps not issuing moral edicts via Tweet, like a KJV-only pastor railing against beer from the pulpit, may help them avoid another temptation. Well, if I encounter one of these folks in person, I’ll suggest it. But I certainly won’t suggest this to them over Twitter. Anyway, several of these folks have already withdrawn their tweets. Others have issued apologies. Good for them. That’s how we do things in the Church. Unlike the heathen “justice” mobs, Christ’s people actually believe in overlooking some offenses and being willing to forgive a repentant person’s worst and most repeated offenses. However, if any leader or pastor just keeps doing this, or has not retracted and/or apologized for his or her (at best) rash behavior on Twitter, I think we need to reconsider how much credence we give their ministries. No, we should not rage at them. We should not commit the same sin at them in return. But I’ll be wary of that person’s influence. Just as I would be wary of any Christian leader, who might correctly teach gospel of grace, but in too many areas, shows a glaring lack of basic discernment. C. S. Lewis’s past wisdom challenges today’s young Christians who feel they must apologize for the church. If you change a few words in one of C. S. Lewis’s essays, it directly challenges today’s “evangelical church repentance” impulses. Young Christians especially last-year undergraduates and first-year curates are turning to [the “national repentance” concept] in large numbers. They are ready to believe that England bears part of the guilt for the present war, and ready to admit their own share in the guilt of England. What that share is, I do not find it easy to determine. Most of these young men were children, and none of them had a vote or the experience which would enable them to use a vote wisely, when England made many of those decisions to which the present disorders could plausibly be traced. Are they, perhaps, repenting what they have in no sense done? Sometimes this is more a tone of such “repentance,” that is, a general sense of regret. Or sometimes it’s an overt expression. People may say, “I’m so sorry for what the church did to X group.” Such a person, by proxy, may “repent” for the evangelical church. But often the person simply repeats 1940s young Christians’s condemnation of Britain and applies this to the United States. Following Lewis’s example, I won’t cite specific examples of this “evangelical church repentance,” or link to nasty tweets and such. Readers have likely seen examples of this same impulse, especially on social media. Like Lewis, I also want to ignore questions about whether these apologies “work,” pragmatically, to win skeptics or the marginalized to hear more about Jesus. Those questions matter. But so do the Scripture’s direct calling to be charitable to everyone, not just specific groups of people. Similarly, today, many of these young evangelicals have grown up in church or ministry environments that I don’t know about. They’ve seen provincial attitudes, anger, bitterness, and acts of overt prejudice that I haven’t seen. If their elders or faith heroes were politically active, the young evangelicals have seen acts of compromise or even spiritual abuse. So this story isn’t about whether the young evangelicals have just cause to speak out. (In fact, let’s assume that they do.) It’s about how young Christians are reacting to these evils in their heart-revealing speech. It’s about how the world, and how our Christian neighbors, see these young evangelical activists respond. Moreover, it’s about how a person’s responses slowly change his or her heart as an individual. If [young Christians are repenting for what they have in no sense done], it might be supposed that their error is very harmless: men fail so often to repent their real sins that the occasional repentance of an imaginary sin might appear almost desirable. But what actually happens (I have watched it happening) to the youthful national penitent is a little more complicated than that. [The evangelical church] is not a natural agent, but a [society of saints organized to disciple others and fulfill Christ’s great commission in local groups]. When we speak of [the evangelical church’s] actions we mean the actions of [evangelical church leaders]. The young man who is called upon to repent of [the evangelical church’s activity, including in politics and culture] is really being called upon to repent the acts of his neighbour; for a [pastor or ministry leader] is certainly a neighbour. The first and fatal charm of [evangelical church repentance] is, therefore, the encouragement it gives us to turn from the bitter task of repenting our own sins to the congenial one of bewailing but, first, of denouncing the conduct of others. If it were clear to the young that this is what he is doing, no doubt he would remember the law of charity. Unfortunately the very terms in which [evangelical church] repentance is recommended to him conceal its true nature. By a dangerous figure of speech, he calls the [church] not ‘they’ but ‘we’. And since, as penitents, we are not encouraged to be charitable to our own sins, nor to give ourselves the benefit of any doubt, a [church] which is called ‘we’ is ipso facto placed beyond the sphere of charity or even of justice. You can say anything you please about it. Love your enemies, love them, and do not project on them your own father issues? In this next (modified) excerpt, Lewis actually dares—very, very gently—to suggest a psychological motive for these youthful penitent. All Christians know that they must forgive their enemies. But ‘my enemy’ primarily means the man whom I am really tempted to hate and traduce. If you listen to young Christian intellectuals talking, you will soon find out who their real enemy is. He seems to have two names — [the right-wing patriotic conservative] and ‘the business man’. I suspect that the latter usually means the speaker’s father, but that is speculation. Based on this speculation, I can’t help but wonder more. How many of the loudest, most desperate younger Christians in social activism have similar family conflicts? Would they find their confidence in Christ improved if they could resolve these conflicts first? Would such resolution even help improve their capability to fight against prejudice and for justice in our communities? What is certain is that in asking such people to forgive the [marginalized persons] and to open their eyes to the sins of [the church], you are asking them, not to mortify, but to indulge, their ruling passion. I do not mean that what you are asking them is not right and necessary in itself; we must forgive all our enemies or be damned. But it is emphatically not the exhortation which your audience needs. The communal sins which they should be told to repent are those of their own age and class — its contempt for the uneducated, its readiness to suspect evil, its self-righteous provocations of public obliquy, its breaches of the Fifth Commandment.5 Of these sins I have heard nothing among them. Till I do, I must think their candour towards the [evangelical church] enemy a rather inexpensive virtue. If a man cannot forgive the [the right-wing patriotic conservative] next door, whom he hath seen, how can he forgive the [marginalized persons] whom he hath not seen? Finally, Lewis very carefully zooms into the great risk of “national repentance” on the penitent person’s heart. He’s careful to acknowledge that a spiritually growing person may need to disagree with parents or elders.6 But what matters is how and with what heart attitude the person expresses this disagreement. Is it not, then, the duty of the Church to preach [evangelical church repentance]? But the office — like many others — can be profitably discharged only by those who discharge it with reluctance. We know that a man may have to ‘hate’ his mother for the Lord’s sake. The sight of a Christian rebuking his mother, though tragic, may be edifying; but only if we are quite sure that he has been a good son and that, in his rebuke, spiritual zeal is triumphing, not without agony over strong natural affection. The moment there is reason to suspect that he enjoys rebuking her that he believes himself to be rising above the natural level while he is still, in reality, grovelling below it in the unnatural—the spectacle becomes merely disgusting. The hard sayings of our Lord are wholesome to those only who find them hard. Younger generation today face these same dangers with regard to the church. In confessing all the sins of the church, we have everything to gain and nothing to mortify. This isn’t to suggest that the church hasn’t gotten things dreadfully wrong, but it is to suggest that slavery and the crusades are not the things thirty-something Americans are likely to get wrong today. We would do well to listen to Lewis from seven decades ago. He who has ears to hear, let him hear. Starting with me. Because this “repentance” may not have even reached its final form. If we’re not careful, we may find ourselves “repenting” on behalf of all those young Christians who “repent” on behalf of the evangelical church. After last week’s article, several friends shared how and why they track best-reviewed popular culture. I wasn’t being rhetorical. Instead, I truly wanted to know how this was possible to keep up with so many new, niche, and/or popular shows, especially given the time constraints I often feel just to keep up with the stories and franchises I already enjoy. Fortunately, several of my friends, via my share of the article on the ol’ Facebook profile, stepped in to explain. Q. How do you keep up with all these popular shows and movies? Personally, I’m kinda the opposite. I love these lists [of the best movies of 2018] not because I expect to watch everything on them, but because they give me the sort of titles that feed my mind and soul. I’m already going to watch all the Disney-produced popcorn films, be they great (The Last Jedi, probably Into the Spider-Verse), decent (Infinity War), or okay (Spider-Man Homecoming). I don’t need a list to keep those on my radar. But films like First Reformed, Calvary, The Innocents, and whatnot feed my soul in a way these popcorn films don’t. But they don’t have a massive multi-million-dollar ad campaign telling me to watch them. So I really appreciate these lists that remind me that these type of movies do exist, are being made, and are worth seeing. I don’t care that I’m not going to watch all the movies on the list. I just care that the lists are there, to remind me of movies that might be profoundly worth watching. So that when I *do* have time to watch one of these films, I have a place to start. Very rarely will you find someone who is an expert in everything. The great thing about all of these Top Ten lists is that we do get to hear from people who are experts (or at least very knowledgable) in their respective fields or hobbies. I’m not up to date on 2018 music and have missed many of the popular television shows, so I might not have seen, heard, or even know about some of the best of the year. But it can be helpful for when I have more time to explore. As a film critic, I have seen most of the big or acclaimed 2018 movies, but there’s always a give and take for that to happen. I have two kids, so to see more movies I have to give up something (and I don’t give up time with them). So I don’t watch cable. I limit the TV shows I watch on a regular basis. I watch a little bit of sports, but not much outside of two teams (and most of the time I watch those games with family). I don’t play video games unless it’s Nintendo with my son. I lose sleep sometimes! Everyone has their interests and hobbies (and some get paid to write and talk about their interests—which is a bonus). For some it just happens to be movies or music or fantasy novels or etc. Some people watch Daredevil S3. Others watch 5-6 independent or foreign films instead because that’s what they like. I think the point of these lists is to give you a place to start when you sit down and think “I wonder what I should watch?” Nobody expects a non-critic/non-connoisseur to see more than one or two on these lists. Think of it like this. I put out an annual Top 100 graphic novel list, because that’s my thing. I don’t do it to shame readers. I do it to help them. With all the graphic novels I read every year, I still don’t come close to reading everything good that comes out. If that’s the case for me, the person who reads maybe five or ten per year (or less) is going to be overwhelmed by choice. So I curate a list for them of the best stuff I could find, letting them know: There’s great stuff out there and great stuff for you! There’s no judgment, just exuberance for good stuff. For my part, I often think too often about how “much” TV I watch. It’s probably still too much. But, in comparison to other folks, our watch time could actually be fairly limited. My wife and I usually view one or two 25-minute stories on weekday evenings. Otherwise, we’ll try one 45-minute story. Then that’s it. On Friday and/or Saturday nights, we usually try a longer film. As for movies with theater-exclusive releases, our tastes stay fairly mainstream. 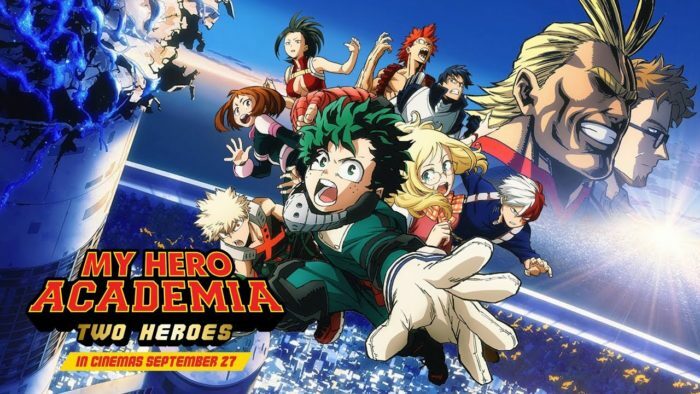 The last few limited-release films we saw all related to anime: Your Name and A Silent Voice (both 2017 in the U.S.), and, jumping to a more popular franchise, My Hero Academia: Two Heroes (2018). Otherwise, we simply haven’t the time or motivation to see smaller or more “indie” films. We don’t feel called in that direction. If we did, it would be solely for (what most people define or disregard as) straight entertainment purposes. We couldn’t justify these as any kind of missional strategy.2 In our circles, no one would have heard of these films. And in our immediate “cultures,” if we casually mentioned we had gone to see such-and-such indie film, we would create distance, not neighborly hospitality, between us and other people. But apart from potential “engaging culture for Christ”–style missional strategies, I simply don’t have a natural interest in some of these of stories. Which would also make these pursuits contrary to my chief purpose: worshiping God through enjoying stories people create. When real or fictional heroes die, even if we know they will return, we have freedom to mourn them. Double spoiler alert: Spider-Man dies twice in movies released last year. He dies once at the end of Avengers: Infinity War, then again, early in Spider-Man: Into the Spider-Verse. On a personal note, I rank Peter Parker’s (Tom Holland) death scene in Infinity War as the saddest superhero moment of 2018. As you probably know, unlike other heroes who perish at the (literal) hand of Thanos, Peter senses his impending death seconds before it happens. Then Spider-Man dies, drifting away into dust on a distant ruined planet. Fans recall the scene in parody and in sincere tribute. Fan art flourishes with cartoons, realistic art, sad art, silly art. In the last case, it’s pretty clear some fans are in total-denial, “I’m not crying YOU’RE CRYING” mode. At this moment, I found myself shocked, then embraced the heartache. I like plenty of superheroes, but even then, Spider-Man is special to me. For these reasons. Well, of course Spider-Man will be back. I doubt anyone watching this moment actually thought otherwise. But does that mean we’re silly to grieve? If you’ve seen Avengers: Infinity War (and you are not some anti-superhero activist), and you see this screencap and do not whimper, check yourself in case of missing soul. First, step back. No one actually dies in any movie. It’s all acting and special effects. That’s because, as a society, we’ve all come together and agreed—similar to paper money—that these enhanced moments captured on digital “film” have emotional worth. So it seems rather silly to holler the rather obvious point that none of this is real and it’s all make-believe. We all know that. Second, whoever made the “rule” that it’s silly to be sad about story events, unless a character actually suffered permanent death? That’s an odd rule, and not just for movies based on heroes originally created for comic books. If we participate in the shared and deeply human story-game of pretend, then we’re already agreeing to a “simulation” in which we “rejoice with those who rejoice, weep with those who weep.”2 Assuming the writers, director, actors, soundtrack composer, effects artists, et. al., have done a great job, we can do this if one hero thinks her beloved has died. We can weep if someone in dire financial straits suddenly gets a bill he can’t possibly expect to pay. That’s like real life. Plenty of suffering makes us grieve, not just a loved one’s permanent death. Of course, it’s easier for me to say that here, without actual death and suffering before me now. But this is part of our Christian “practice” for moments of suffering. We formulate and practice our weird and different, eternity-facing grief theology in moments when we’re not actually doing suffering. That way, in the best-case scenario, we’ve internalized the “God works all things together for good” truth4 rather than having to hear that verse or phrase sprung on you by a well-meaning saint by the emergency room doors. I wonder, then, if grieving the deaths of fictional characters might be a small part of this “practicing.” This may not be true of everyone, especially Christians with more nonfiction– or systematic-oriented heads. However, I can say that rejoicing and grieving with fictional characters has helped “train” me for parallel moments in reality. In fiction—or in superhero stories, anyway—our departed heroes sometimes come back. But the same is true in reality. And still we as Christians grieve. I say that if the fictional hero has affected us, we should feel free to grieve openly and unashamedly. Of course, not every fantasy story fan has this kind of personality. We react to stories in different ways, and some have tighter tear ducts that others. Regardless, let’s at least not be too “cool” to shed a tear. Even if we already know the date of the resurrected hero’s next solo film release. In an age when everyone’s a critic, might criticism of “the critics” unfairly malign the pros? Sometimes the best part of web writing really is the critics in the comments section. I’m not being sarcastic or passive-aggressive. Perhaps I’ve simply been privileged to encounter some of the best comments sections I’ve ever seen. I’ve met great, long-range friends in lengthy exchanges hosted by Speculative Faith, Facebook friends, Facebook “enemies,” or ministry pages. One of those friends is Jared Wheeler. I don’t always remember a friendship source, but I remember this one. We became (Facebook) friends after my article on Christ and Pop Culture about the Legend of Korra animated series finale.1 Jared took umbrage with much of what I wrote, and away we went. Some of that’s to be expected. CAPC articles go through an editing process, thanks to a fine team of word-sharpeners. Still, and perhaps due solely to the writer, any article can leave plenty of openings, potential misunderstandings, and of course, plain poor arguments. How much more so a story on a personal site like this one. More recently, Jared also took friendly issue with my Monday micro-rant. In “A Movie Is Much More Than the Pop Song They Stuck in There,” I suggested “critics” (my often-undefined term) pay more attention to movie pop songs than to the films’ central stories and soundtracks. He believes I fired indiscriminately based solely on my own feelings. Also he felt his feedback went on overlong. If so, I’ll double that offer by copying it here, and hoping to let him sharpen me. Truly, though, it does feel like your ongoing criticism of criticism is veering ever further into purely petty griping. This is *pretty* deep in “I’m not going to be happy until you all enjoy the movies I do, for the reasons I do, in the way that I do” territory. A small, snarky side of me would suggest the statement “I’m not going to be happy until you all enjoy the movies I do, for the reasons I do, in the way that I do” describes a fair chunk of film criticism. Not all, but some. Here then, my weakest defense is that I’m simply following the rules. But I hope that’s not how I come across. Rather, I hope to articulate at least throughout a full body of work that I’m pursuing happiness by enjoying as many stories as I’m able. Here I mean “happiness” in the biblical sense. 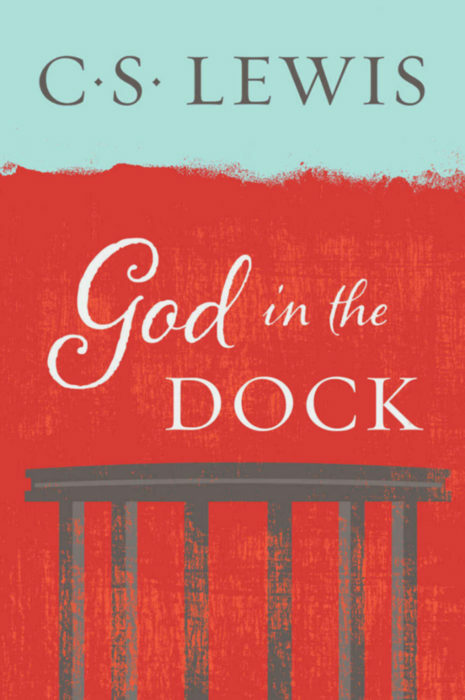 In short, I believe God allows story-making, even in this nasty world, as a reflection of his common grace. It also reminds us of God’s original purpose for humanity: to imitate and glorify God by making new things in the world he gave. And in so doing, we find perfect happiness, not solely in the stuff, but in the Giver. If a story or other human cultural expression doesn’t give me this kind of happiness, I might say so. More likely, I’ll ignore the story. But I concede that I can sound fairly negative when I don’t believe pop culture critics share my values. If I believe someone could be affected by a plain ol’ trend, I might say so. If someone seems to jump on a bandwagon for/against a story because of a “horse race” mindset, I might point this out. It doesn’t mean I despise that person or think “they’re not in favor of happiness like I am.” At worst, I’d say: Here’s another example of the fact that human beings have all kinds of snarled-up impulses within us, along with our God-given desire to be happy. I have these same snarled-up impulses. This is why I’ve been cutting back on watching acid-tongued movie reviews from YouTube critics. Their cynicism is often paired with some astute observations about story and filmmaking craft. Still, I’ve found that I can catch cynicism more easily than a two-year-old catches colds at day care. The treatment’s side effect? I may come off as very cynical against cynicism (real or imagined) from movie critics. By the way, when I say “critic,” I don’t mean some major newspaper movie-watcher in a loft apartment somewhere. I think of anyone who styles him– or herself a critic. When I use the word, I’m thinking of mainstream media critics, the sorts who attend film festivals, yes. But I also think of geekbait “fandom” websites or YouTube channel hosts. Many of these have legitimate heartfelt opinions. Yet I’m sure others’ “opinions” are in fact incentivized, so they over-praise or rudely despise the latest flick (like Ghostbusters 2016 or Star Wars: The Last Jedi). And I think of any person who, as we all can be, may be tempted to follow after popularity trends. “Ever read a movie review or comment that draws too much attention to a pop song the moviemakers stuck in there?” No. I haven’t. It might have helped if you had included some examples of this happening to validate your point . . . I’m not convinced that this is even a thing. It’s a thing. But fair point—more examples would have helped. In this case, however, that would be like trying to track the source of a “meme.” And in fact, a “meme” (in Richard Dawkins’ original use) might actually be what I’m opposing here. I’m perplexed by this fierce defense of professional film critics. I am not a pessimist and I believe God actively permits common grace in the world, including professional film criticism. But I also can’t share this level of enthusiasm for major media or human culture (under the Fall). Of course, many critics are fantastic professionals. Others are fairly terrible at their job. (At least one of them writes for the newsmagazine National Review. I shan’t malign him here.) Still, none of what I wrote was an attack on critics or their professionalism. Even that response presumes a narrower “professional film critic” definition, although I don’t presume this. As a Christian, I do presume my priorities aren’t always the same as critics in a general audience. For that last part, I could have closed this opening. I could have defined what I meant by “critic.” This clarity would have also specified that I actually meant, in part, to critique clickbait-type nonsense, including fans’ praise or criticism that I feel treads in shallow waters. And I feel comfortable doing this in a popular culture area with which I’m fairly familiar (superhero movies and soundtracks). 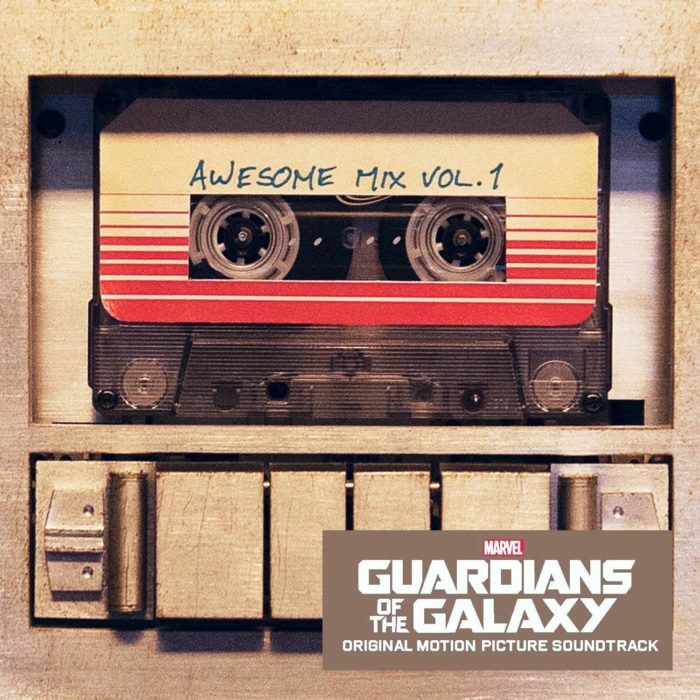 Guardians of the movie music? 1) Coming from you, this bafflement that people love a thing that they feel a strong emotional attachment to is . . . baffling. This piece is littered with hints at the fact that you understand the incredible deep and powerful connection people (including you) feel with music, both music in general and the specific songs or pieces that they have loved, often for decades. Like, if a movie critic wryly noted fan excitement over the tease of a beloved character in a Marvel post-credits scene, you’d be grossly offended . . . but you’re flabbergasted that it made people happy to hear a song that they loved. AND you think they’re enjoying the movie wrong because they enjoyed that. Up until those last objections, I was tracking with you. But no, I wouldn’t be “grossly offended” by such a note about fan excitement. Nor would I claim that folks who like hearing a nostalgic song are “enjoying the movie wrong.” In fact, that’s a sort of binary “fresh/rotten [for everyone? ]” approach to movies that I want to oppose in anything I write about human stories. Also of note here is the fact that it’s not critics (pro or casual) but movie-makers often drive this attention to the pop song they stuck in there, at the exclusion of the movie’s other qualities. 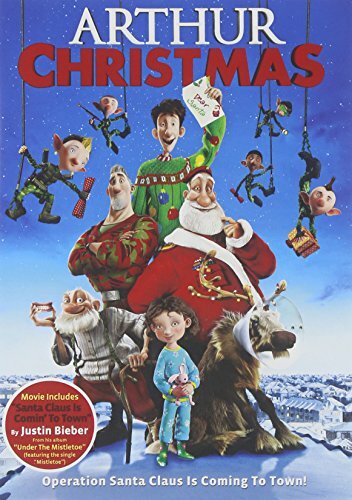 Another fairly recent example comes to mind: the Aardman holiday film Arthur Christmas. This is a popular-level, comedic animated exploration of the Santa legend. It has surprisingly heartfelt exploration about different people’s approaches to the holiday and gift-giving. And its distributor Sony chose to … hype mainly the film’s end-credits holiday song by Justin Bieber. I’ve read fans who said that, thanks to the marketing, the Justin Bieber song was all they knew about this movie (which did not do well in theaters). Only later did they actually saw the film and find delight in its comedic and dramatic genius. 2) “Crazy characters and surprising heart drove that movie. Pop songs only gave audible seasoning—which the filmmakers bought and paid for based on simple knowledge of what oldie songs had already gotten popular among mass audiences.” Dude. No. Those songs communicate *everything* about the movie’s central character, who he is, where he comes from, and what he’s all about, and they are precisely deployed throughout the movie in a way that is spectacularly skillful at subtly reinforcing the mood and theme of each scene. That soundtrack, and specifically the fact that it is composed of pop songs, and the specific pop songs it is composed of, is the backbone of that entire movie. The fact that this was highlighted by critics while you more or less shrug it off is . . . exactly why THEY are the ones who are good at their jobs. The better “worst” example is the one I cite immediately afterward: the dreadful Suicide Squad (2016). This villainous entry simply pasted pop hits, from multiple genres, over top of an already fragmented and near-nihilistic story. Also, I could have gone into detail about evangelical movies that overemphasize pop songs. But I felt I’ve picked on Christian movies a lot lately and wanted to leave that criticism more generalized. I love film scores. That was the music I bought until I stopped buying CDs, and there was a long period of my life when “movie soundtracks” was my response to “What kind of music do you listen to?” A good film score is incredibly important, and often the use of pop music (or even just rigidly contemporary styles of instrumental music) in a film will render it dated within a few years. I don’t think the Star Wars franchise would exist if Lucas had backed the original movie with hit disco tracks instead of insisting on a full orchestral score by John Williams. Amen. I also believe I’ve come down from my “I only listen to soundtracks” cage-stage. Instead, I’m trying to appreciate other folks’ diverse musical preferences. In my original story, I observed that I tend to prefer music you can “story” to. Others prefer music you can party to. That comparison has helped to clarify why people like different music genres. But everything you’re complaining about here, and the whole way you’re complaining about it, is just so . . . ick. Here’s hoping this response helps flesh out that original micro-rant. I don’t intend my stories here, or comments on apparent trends, as wholesale rejection of Professional Film Criticism. On occasion, of course I’ll do the 1960s thing and “question authority.” I don’t do this to be outrageous or contrarian. Rather, it’s because I don’t believe I share priorities with a lot of critics. Instead, I share my part of a conversation, as if over fast-casual food with a friend. Or enemy. Or frenemy. I hope I’ll always invite any of these to push back as part of the continuing dialogue. After all, no one is above criticism: not casual critics, pro critics, or myself. Should Christian-made movies explore only discipleship methods like prayer, promises, and proverbs? Everybody likes to talk smack about Christian movies. But nobody’s doing anything about them. To be fair, this criticism could apply to me, after my last two articles (this one and this one) that try to be optimistic about Christian movies. Dang it, Jim, I’m an editor and writer, not a filmmaker. I’m likely in the 1 percent of “millennials” who have hardly touched a video editing software. This is why, when I explore Christian movies, I generally tend to emphasize criticism of themes and emotions, not craft. Mind you, craft is important. I won’t affirm even a hint of “the outer shell doesn’t matter, only the soul inside” pseudo-Gnosticism about valuable human stories. But for myself, I’m not qualified to critically evaluate basic film elements like lighting, editing, or whether the best key grip properly fetched a gaffer, or whatever it is they do. Like a driver, I know if something under the hood is rattling, or whether the vehicle performs the basic task of staying on the road. But in the event of mechanical failure, I’d simply find a mechanic to explore exactly what’s gone wrong. A man in grief after a family tragedy is slowly beginning to recover. Already the audience can tell this is happening, and up until now it’s been (mostly) realistically yet cinematically shown. But already the story begins to overdo it by showing the man arriving at a place he’s been before. There his daughter had once asked him to dance with her, but he had declined. Now he is reenacting that dance. He looks happy. The music is whimsical and the scene almost already becomes schmaltzy. But then he has to start praying, aloud, acting well — but over-explaining to the point of audience-participation squirming. The book’s opening alludes to wars and rumors of wars, indicating a world ready for the end times. The movie bizarrely skips all that, showing instead a sweet little world in which even a Christianity-hating big sister takes her kid brother to a mall. So why does God bust in to ruin everything with the rapture? Only after this event do people actually start screaming and looting. 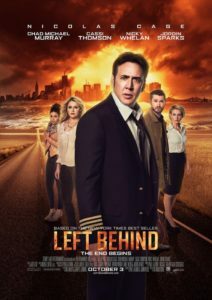 Movie-Left Behind asks me to believe this nice world actually exists while also believing that this world is overdue for apocalypse. . . . If such a movie tells us “earthly” things and we do not believe (because the poor product is simply unbelievable), how will we believe when it tells us “heavenly” things? Alas, then the story attempts a victory lap. Judah, his family, and even Messala leave Judea. They join with Ilderim (Morgan Freeman), who had trained Ben-Hur as a charioteer, to … spread Christianity? Help him race his chariots? I wasn’t sure, but more sure is the fact that Judah and Messala ride off very nearly into the sunset. The end is simply awkward. 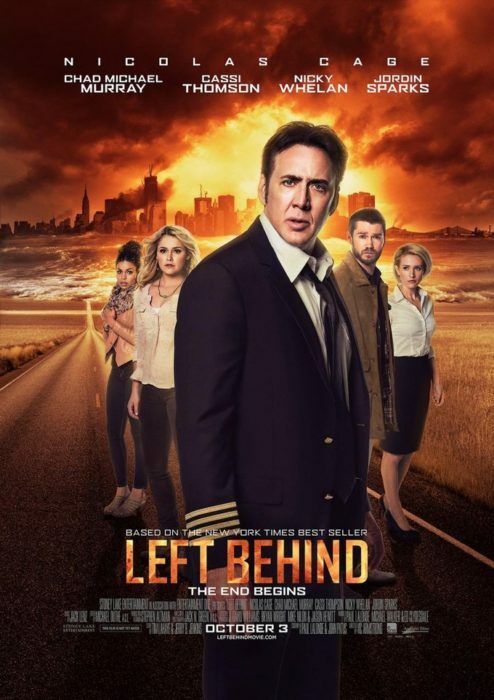 It felt like an alternate finale that was filmed as part of reshoots, as if this were a last-minute fix in response to evangelical test audiences who wanted a glossier photo finish. But for a story about messy, grim, realistic themes like betrayal, murder, vengeance, and the clash of cultures such as the Romans and Jews, a Disney-style finale doesn’t work . . . The film’s production and plotting struggle. Some tighter editing could have helped the story move more quickly, dialogue tends to drag on or feel stilted, and while Gavin’s final ad-libbing as Jesus in the Easter performance offers a few profound moments, his change to a new life follows expected beats. The obligatory scenes of Gavin’s partial “relapse” may have lost me the most: when Gavin is recruited back to Hollywood by a stereotypically flashy agent and a grungy TV director, “worldliness” briefly ensues, but a sinful lifestyle that is so obviously unappealing doesn’t realistically present any competition to Stone’s potential conversion. 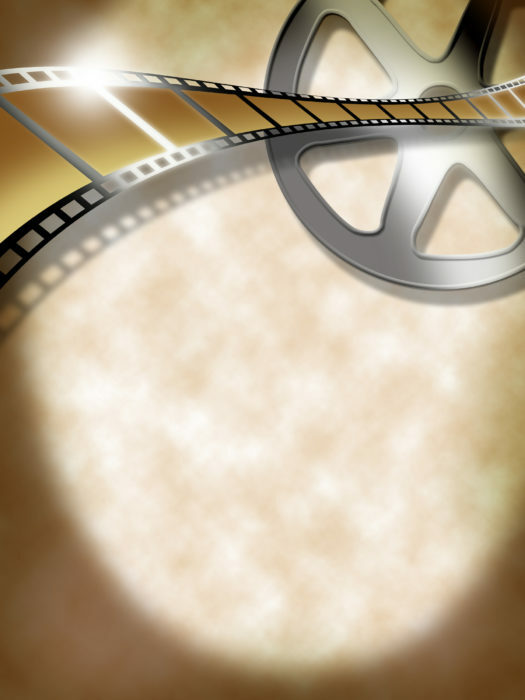 Should Christian movies only evangelize? Fortunately, since then, I’ve tried to see only better Christian movies. This includes recent fare such as Risen (2016), The Case for Christ (2017), and Paul, Apostle of Christ (2018). If Christians don’t eat and drink and farm and suffer and die and live in the real world, it doesn’t matter how much we say we care about saving souls. If we don’t recognize that something comes after biblical salvation—restored humans who imitate God in all things—then it doesn’t matter how much we say we want good movies. Our own religion will betray us, for deep down we will secretly believe that movies are meant for nothing but evangelism. And we will also believe that evangelism itself is worth nothing to the human soul but more evangelism. What is the chief end of any movie, or of anything at all? Is it evangelism? If so, we will have no purpose in the promised New Earth that only saints will enjoy. And if so, criticisms or support for Noah and other films also fail the test because they don’t include direct salvation calls. In fact, Scripture itself fails such a test. Where are clear plans of salvation in books such as the Psalms or Esther? After God gave this mandate, Adam and Eve sinned. Their sin distorted and nearly killed human purpose. Christ rescues people through his death and life, then gave his church the Great Commission to disciple others. But it is important precisely because Christ uses this discipleship to restore humans to this original God-exalting purpose. Should Christian-made movies explore only discipleship methods like prayer, promises, and proverbs? Or should we also go beyond into greater, restored-humanity themes? I would err on the side of the latter, for this simple reason: the Great Commission, so far as it relates to gospel proclamation to save human souls, is temporal. It’s vital now, but is best done straightforwardly by evangelists. In eternity, however, we’ll be worshiping God in other ways forever. 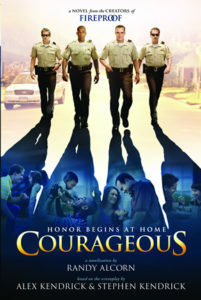 Why not make and support Christian movies with that greater potential legacy in our hearts? I don’t get the disproportionate attention some critics give to pop tunes in secular movies. Ever read a movie review or comment that draws too much attention to a pop song the moviemakers stuck in there? It makes me imagine a pro restaurant reviewer, or some guy on Yelp, only commenting about the green garnish alongside the entree. A recent example: the wildly popular (and now billion-dollar grossing) DC superhero film Aquaman. Even if you haven’t seen the movie, you probably already know that it has a song called (looks it up) “Ocean to Ocean,” by a chap styling himself “Pitbull.” You may also know this song quotes another song, Toto’s “Africa.” To many Aquaman critics, this is an absolutely hilarious joke. But then again, I don’t get this critical tendency to pay so much attention to such a small part of the movie. For my part, I don’t go to superhero movies for the pop songs. I go for the superheroes and the story. This is why I severely dislike it when critics (or movie producers) assume that I regard the pop songs as highly as they do. Oldie songs! I remember those! … Oh, also, I guess this movie has people, plot, and such. 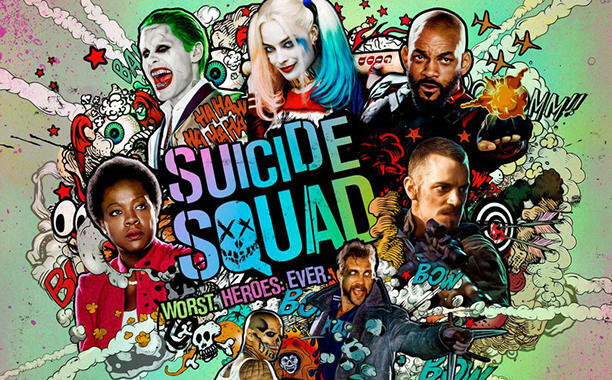 Similarly, Suicide Squad‘s creators (or editors) rounded up pop songs, including some hip-hop and other random noise. They just threw that into the movie. The result was headache-inducing. 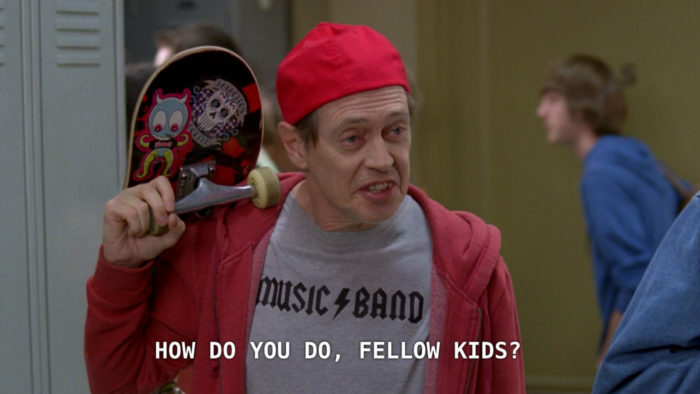 To me, it made an already stressful film the equivalent of the “How Do You Do, Fellow Kids?” meme. By contrast, other DC and Marvel films haven’t done this. Their soundtracks, not the add-on pop songs, are really most memorable.1 But I think that film critics (and many fans) simply don’t pay as much attention to the “background music.” If the soundtrack artist isn’t somebody who performs with a band on stage somewhere, then he/she seems to get ignored. So it is with Aquaman, which has a great soundtrack by Rupert Greggson-Williams. He’s the same composer of Wonder Woman, though he used/deconstructed/rebuilt the heroine’s main theme composed by Hans Zimmer. But reviews act as if the film’s soundtrack is entirely composed of one artist’s odd/cheesy sampling of Toto’s “Africa.” It’s not. See, or rather hear, this grand and watery theme for our hero. For Christians, this overvaluing of music over movies makes sense. Most of us have at least a suspicion that music is a special way to worship God. Or that it’s at least useful in church services. But as for movies—we haven’t quite figured out their place. But I don’t get the disproportionate attention some critics give to pop music in secular movies. Or maybe this overemphasis only applies to superhero and other genre films. If I’m right, perhaps this is just another example of some critics blindly trying to feel their way along these (very popular) genre offerings. After all, if you get lost among all the –Women and Captains and –Men that “geeks” can identify but you cannot, never fear. The movie might at least have a familiar pop song you can praise or scoff about! Anyway, in this field I know I’m a little weird. Apparently many people prefer music you can party to. I much prefer music you can tell stories to.